Home Star Wars Rebels Not the Younglings (Again)! Growing up is hard, but for a Force Sensitive child in the Star Wars universe, it means being hunted by the Empire. 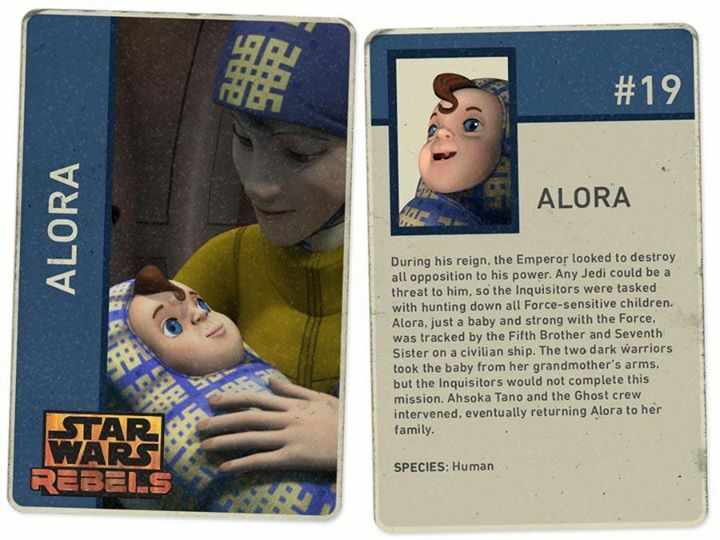 In the Star Wars Rebels episode “The Future of the Force,” our heroes protect human and Ithorian infants from the Seventh Sister and Fifth Brother. The treatment of Younglings has been problematic since The Phantom Menace. It appeared the Jedi would take children from their parents who were strong in the Force. It is not clear that the parents always consented to their children to be raised by the Jedi or if it was mandated by law. From a certain point of view, it appeared the Jedi adopted Younglings, severing parental rights to their children. The Jedi effectively put Plato’s Republic in practice with the Community of Women and Children, with the state raising the children to serve the collective good. Severing parental rights without parental consent is a complicated process. Courts must find parental custody would be detrimental to the child by clear and convincing evidence. Cal Fam Code § 3041. Raising a Force sensitive child might have its challenges, but the Jedi would need more than “The child could turn to the Dark Side,” in order to take away parental rights without consent. Star Wars Rebels sent a very different message. The Inquisitors Seventh Sister and Fifth Brother were abducting Younglings strong in the Force. Just as there are always two, the Inquisitors committed at least two crimes: kidnapping and child abduction. There is a fundamental difference between kidnapping, Cal. Penal Code § 207, and child abduction, Cal. Penal Code § 278, in terms of the person targeted by the offense; the first is a crime against the person being kidnapped, the second against the parents of the child abducted. If there is evidence that a defendant’s conduct is aimed at both, there is no reason why he or she should not be prosecuted under both statutes. In re Michele D. (2002) 29 Cal 4th 600. The Inquisitors committed both crimes in “The Future of the Force.” The human Youngling was forcefully taken from her grandmother. The grandmother had legal custody of the child and the Inquisitors had no legal right to custody. Taking the Youngling was child abduction from the grandmother and kidnapping of the Youngling herself (plus assault, battery, and possibly murder). The Inquisitors attempted to take the Ithorian infant from his mother, making their actions attempted kidnapping and child abduction (and actual assault and battery on the mother). Our Rebels were well within their right to rescue the Younglings under the “defense of others.” Granted, they did sort of carjack that speeder flown by the Ithorian, but we’ll let that one slide with a necessity defense. Next articleDid General Eiling actually Murder Plastique?